John Stuart Stuart Forbes was born the eighth of nine children on May 28, 1849 in Rugby, England to banker Charles Hay Forbes and Jemima Rebecca of Canaan Park, Edinburgh. Jemima was the third daughter of MacDonell of Glengarry and therefore her oldest son William would become the 9th baronet. With access to good food and living conditions, John grew to a height of 6' 0" in a period where the average American male was only 5' 6" tall. Another distinguishing feature was a shock of blond amongst his light brown hair and hazel eyes. After Rugby public school and prestigious Edinburgh Academy, he moved to Yorkshire, England and lived with his sister Henrietta and her husband, Reverend Walter Hiley. From here the story takes a twist, one to grant him black sheep status. Some have speculated indiscretions with a servant girl. Or cheated at cards or stole money; any of which would make for a better story. But most historians believe he left due to deep and mounting debts associated with gambling. One source credits his younger brother with a gambling problem as well. Whatever the cause, John fled England at the age of 22, never to return. Forbes initially traveled to the United States, crossed the continent by rail and found employment as a broker in San Francisco. He subsequently sailed to New Zealand where, among other events, he stood as godfather twice for relatives. He returned to the US in 1871 and made his way to New York City. He enlisted for a 5 year period in the US Army on January 20, 1872. He used the pseudonym John S. Hiley, adopting the surname of his brother-in-law. He was assigned to the 7th Cavalry Company E known as the "Grey Horse Troop." 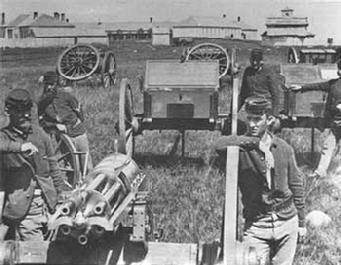 After participating in the Yellowstone Campaign, their company was assigned to Fort Lincoln, Dakota Territory in 1873. The "Plains Cavalry" was frequently comprised of Union Army captured POWs from the Civil War and and European immigrants seeking a new and frequently better life. Forbes was one of 39 Englishman assigned to the regiment. No matter what he had done in a previous life, Forbes served in a trustworthy and courageous manner. He remained loyal during a period when desertion was endemic. However he continued to participate heavily in "games of chance" with fellow troopers while there. Forbes was among the complement of soldiers and civilians who left the fort on May 17, 1876 and joined Lt. Colonel George Armstrong Custer on a journey which would eventually end at the Battle of the Little Bighorn. 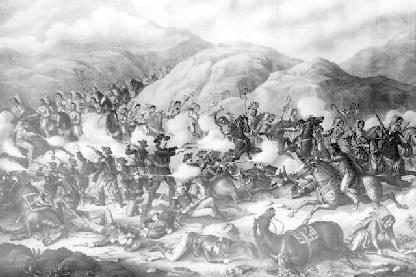 At the Battle of the Little Bighorn, Forbes was with Company E and fell with the 263 soldiers and attached personnel of the U.S. Army who died that day. According to the initial battlefield maps prepared by the Army two days after the event, Forbes' corpse was found only feet away from the body of Custer. Forbes was buried with the other enlisted men in a mass grave at the battlefield site. Forbes is listed on the monument at the Little Bighorn Battlefield under his enlisted name, J.S. Hiley. Click on the photo to the right to enlarge and view the entry on the monument. The obelix at the Little Bighorn Battlefield is not the only memorial to his service. 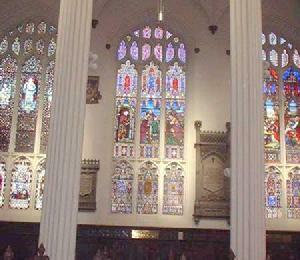 In 1905, his mother had a plaque installed in St. John's Episcopal Church; Edinburgh, Scotland. The 8 inch high by 2 foot 5 inch long brass plaque, complete with the family's coat of arms, is mounted in the north aisle of the church and reads, "In Memory of John Stuart Stuart Forbes, 7th Regt., United States Cavalry, Born 28 May 1849. Killed in Action 25 June 1876." His family had a long association with military service. Forbes' great uncle was Lt. Colonel James MacDonell, the hero of Hougomont, during the Battle of Waterloo in 1815. One of many mysteries is why Forbes never sought promotion. He was within months of his discharge at the time of his death. Whatever crime or scandal, Forbes may have left England in disgrace, but he died a hero. The Society wishes to thank Adele Pentony-Graham (Carterton, NZ Cemetery Taphophile Group) and Bob Reece (Friends of the Little Bighorn Battlefield ) for assisting with this project.